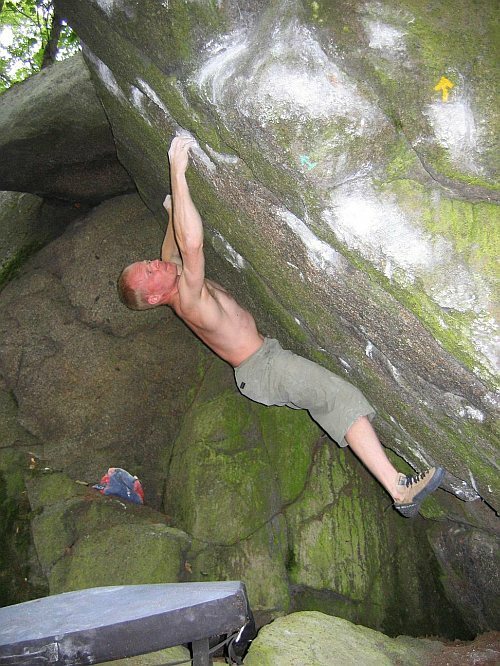 Again all lovers of bouldering and scrambling on boulder blocks can take part in the unique competition. 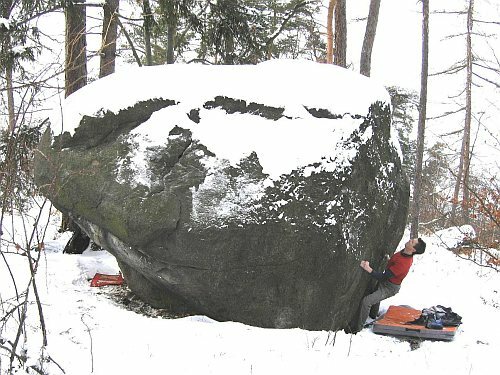 The competition is made up of almost 200 boulder problems. 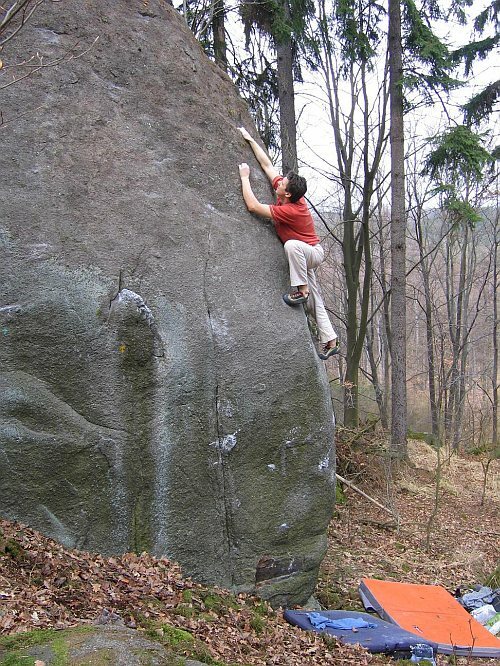 You get as many chances at each boulder problem as you want within half day (six hours). 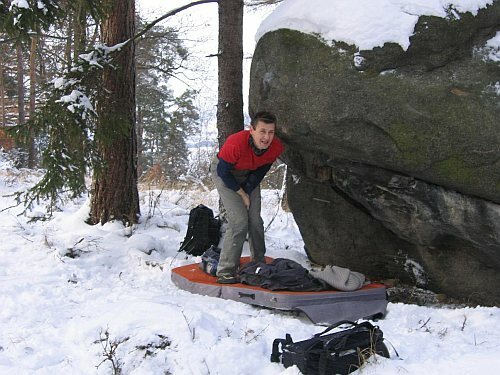 Competition ( because of its spirit its more boulder session than competiton) is under the blue sky in superb scenic nature. Everybody is invited. 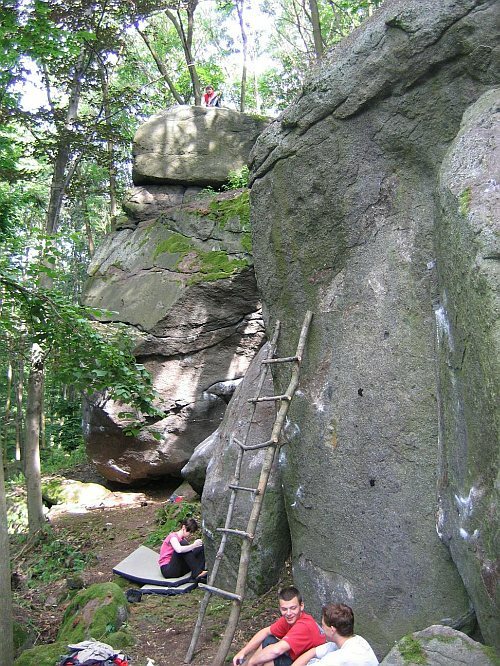 A completely new location was developed for this competition near Petrohrad village. Founders believe that this spot is absolutely awesome place for such an annual meeting / competition which will take already fourth repetition. 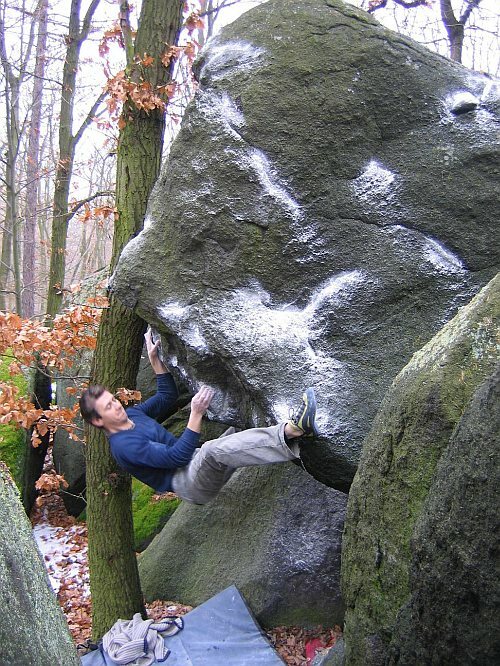 Boulder problems are mostly high and overhanging ranging from 4 Fb to 8B Fb. 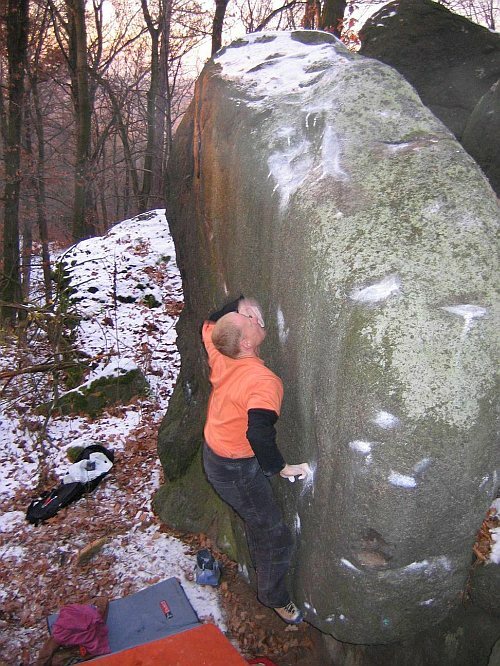 There are three different kinds of boulder problems. 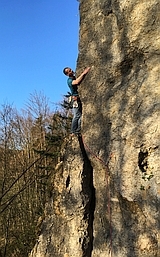 climbing with rope and in case of good weather swimming at Jesenice. Everybody is invited to the party on Saturday evening will be a pleasant moment to spend together, with music. 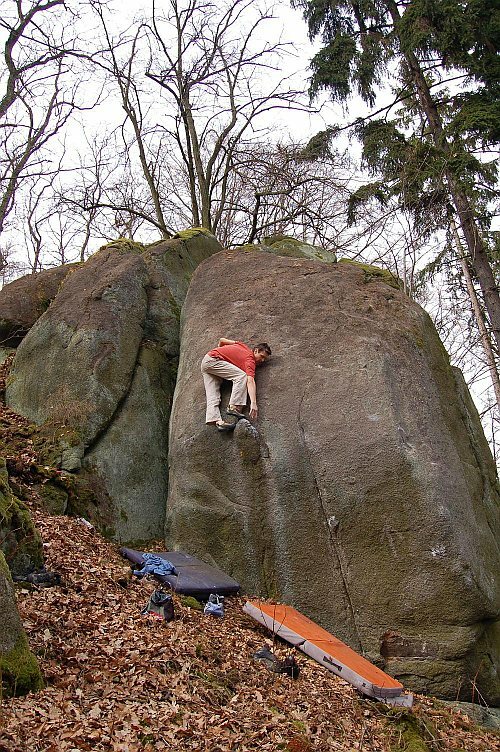 Everyone who attends the compettion will receive a unique brand new topo guide of Petrohrad granite. looking forward, last year competition was great.